Blue sapphire and diamond Vintage styled diamond cluster ring. There is a definite vintage feel to this 1ct Sapphire with a Diamond cushion shaped Halo. 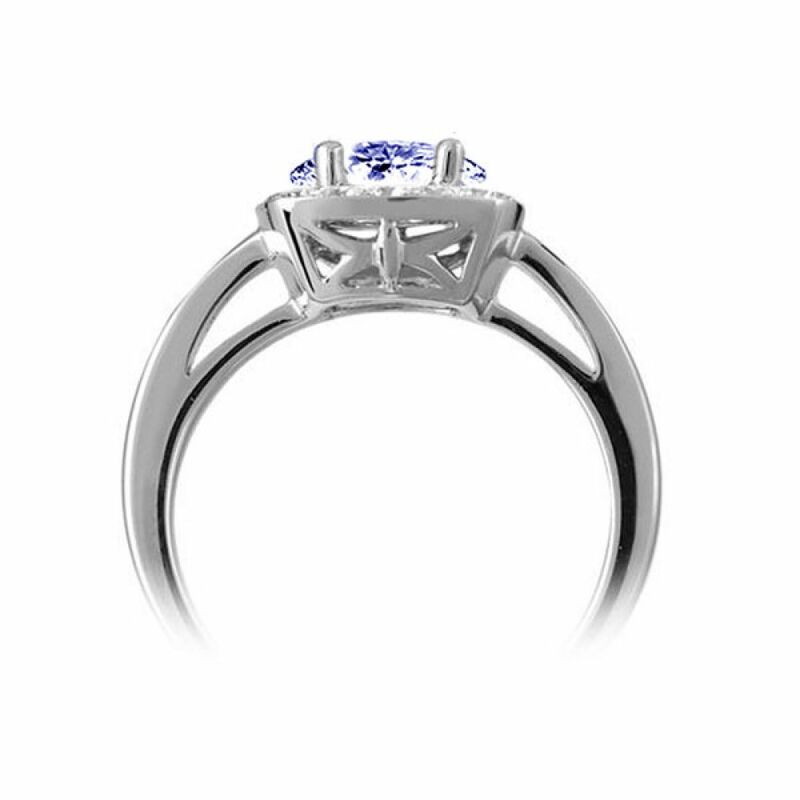 A four claw setting holds the vibrant blue 6.5mm Sapphire within the centre of the Diamond Halo, that holds 0.40cts G Colour VS1 Clarity Diamonds. 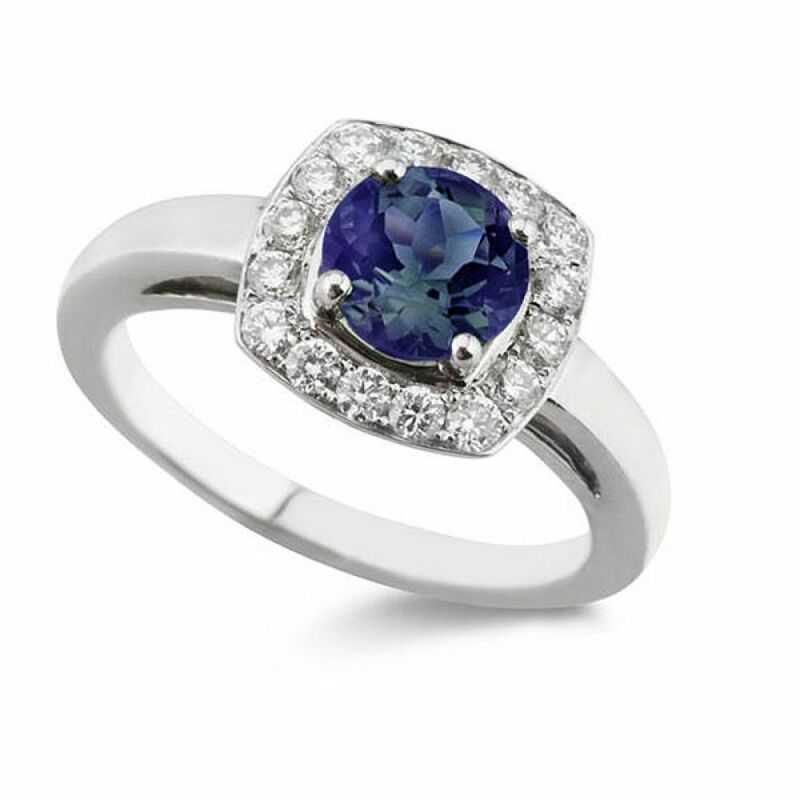 The colour from the Sapphire and the sparkle from the Diamonds makes for a perfect partnership. Last Chance to purchase this design, only one in stock and can be delivered in our bespoke packaging within 10 days. Although shown with a Blue Sapphire in the centre, if you would prefer a Diamond or another colour gemstone then please let us know. we have the ring mount ready for setting, and you can choose your favourite colour for the centre.